As terrible as it is to lose your house to foreclosure, at least it's a relief to put your biggest financial headache behind you, right? Former homeowners may still be on the hook if there's a difference between what they owed on their mortgage and what the bank could sell it for at auction. And these "deficiency judgments" are ticking time bombs that can explode years after borrowers lose their homes. It can even happen to people who got their bank to approve them selling their home for less than it is worth. Vanessa Corey, for example, short sold her Fredericksburg, Va., home in April 2008. She and her husband built the house in 2004, but setbacks, both personal (divorce) and professional (housing bust), made it impossible for the real estate agent to keep her home. So she negotiated the short sale and thought that was the end of it. "My understanding was that the deficiency was negotiated away," she said. "Then, last November, I got a letter from a lawyer telling me I owed my lender $65,000. I had to declare bankruptcy. There was no way I could pay it." Many homeowners are now in the same boat. And not just those who took out bigger loans than they could afford or who did so called "liar loans" where they didn't have to verify their income. Because of falling home prices, borrowers who always paid their mortgage but who have run into unforeseen circumstances -- like unemployment or a job transfer -- can no longer sell their homes for what they owe. As a result, they are being forced to short sell or foreclose and are getting caught up in deficiency judgments. "After the banks foreclose, it's very common now to have large deficiencies with houses not worth the balances owed," said Don Lampe, a North Carolina real estate attorney. Lenders mostly declined comment. Although Corey's lender, BB&T did indicate it was pursuing more deficiency judgments. "They follow the rise and fall of foreclosures," said the spokeswoman, who would not discuss Corey's account. Can they come after you? Whether banks can and will pursue deficiency judgments depends on many factors, including what state the borrower lives in and whether there's a second mortgage or other liens. But if borrowers ignore the possibility of deficiencies, it could haunt them. "Once they have a judgment, they can pursue you anywhere," said Richard Zaretsky, a board-certified real estate attorney in West Palm Beach, Fla. "They can ask for financial records, have your wages garnished and, if you fail to respond, a judge can put you in jail." In the case of foreclosure, lenders can pursue deficiencies in more than 30 states, including Florida, New York and Texas, according to the U.S. Foreclosure Network, an organization of mortgage law firms. Some states, such as California, are "non-recourse" and don't allow deficiency judgments. But, even there, if the original loan was refinanced, some or all of it may be subject to claims. Deficiency judgments on short sales and deeds-in-lieu can happen in many more places. In these cases, extinguishing the debt is often a matter of negotiating with the bank. But even when lenders are willing, many borrowers may not be aware that they have to ask for release. So, if you are pursuing a short sale, be sure your attorney asks the bank to release you from any further obligation. "People shouldn't have a false sense of security that a deficiency judgment may not be later sought," Zaretsky said. He expects many will be filed over the next few years, based on the fact that banks have sold many of these accounts to collection agencies and other third parties, at discount. "The parties who bought those notes wouldn't have paid money for them unless they had the intention of acting," Zaretsky said. What can be scary is that the judgments don't have to be obtained immediately. Lenders or collection agencies may wait until debtors have recovered financially before they swoop in. In Florida, the bank can wait up to five years to file. Once the court grants a judgment, the lender has 20 years there to collect, with interest. It doesn't have to be a large amount of debt for a lender or collection agency to come after borrowers. Richard Varno and his wife short sold their Nashville home back in 2004 after he lost his job. It wasn't until 2008, when the second lien holder asked him for $25,000, that he realized he still was liable. "I told them, 'Hey, you guys released the title,'" he said. "As far as I know, I'm off the hook." He wasn't. Releasing title does not necessarily end the debt. It's complicated because of variations in state law, but, generally, a mortgage has two parts: a pledge of collateral, represented by the home, and a promise to pay off the loan. Lenders may release property liens in order to facilitate short sales without releasing borrowers from their obligations to pay under the promissory notes. The secured debt can convert to an unsecured one after the sale. Zaretsky had one client who was so relieved to have arranged a short sale that he signed every paper his real estate agent shoved at him, even a confession that clearly stated he still owed the debt. "He had no idea what he was doing," said Zaretsky. "All the lender had to do was go to court to convert the confession into a deficiency judgment." Lenders are also very inconsistent. One of Zaretsky's short-sale clients was ready, willing and able to pay, but the bank did not even ask; another lender always reserves the right to pursue the deficiency. Sometimes lenders go after borrowers walking away from their homes if they have other assets, according to Florida real estate attorney Larry Tolchinsky. "Banks are pulling credit reports to see if it's a strategic default," he said. "If you're behind on all your other payments, you're okay. But if you're not, they'll come after you." If borrowers have any doubts about their risks, they should seek legal advice. Or, at least, call non-profit organizations such as NeighborWorks for advice. According to Doug Robinson, a NeighborWorks spokesman, its counselors always try to negotiate away deficiencies when they facilitate short sales or deeds-in-lieu. 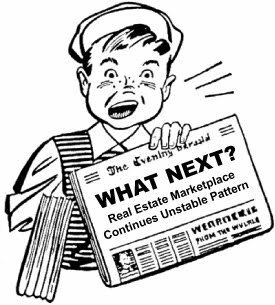 "We don't favor any short-sale contracts that leave any deficiency that can be pursued," he said. Robinson himself knows what can happen. He paid off a deficiency after his own New Jersey house went through foreclosure 11 years ago. As HousingWire first reported, the US Treasury Department will launch the Home Affordable Foreclosure Alternatives Program (HAFA) in 2010. HAFA will complement the Home Affordable Modification Program (HAMP) by providing financial incentives to servicers, borrowers and investors to go forward with short sales or a deed-in-lieu, according to a Treasury announcement late Monday (available to download here). In a short sale, the bank sells the property for a price short of the balance owed on the property’s loan. Under HAMP, the Treasury allocates capped incentives to servicers for the modification of loans on the verge of foreclosure. Borrowers must be HAMP-eligible to qualify for HAFA and must be considered for the new program within 30 days of failing to qualify for or complete a HAMP trial. Borrowers must be able to provide the buyer of the home with a clear title. Any subordinate liens must be paid off in full. The borrower can also negotiate with the holder to release the liens before the closing date. HAFA allows the borrower to receive pre-approved short sale terms before the property is listed and frees them from future liability for the debt. Also, servicers utilizing the program are prohibited from requiring a reduction in the real estate commission agreed to in the listing agreement. The borrower also receives a $1,500 incentive for relocation after the transaction. The servicer receives a $1,000 incentive to cover administration and processing costs, and investors will be paid a maximum of $1,000 for allowing up to $3,000 in short-sale proceeds to be paid out to subordinate lien holders. In total, each transaction under HAFA will cost the Treasury up to $3,500 of incentive payments. HAFA will officially launch on April 5, 2010, but servicers can implement the program prior to that date. However, in order to participate in the program, the servicer must have signed a HAMP servicer participation agreement by Dec. 31, 2009. Option ARMs: Housing Recovery Killer? An explosion of foreclosures will result from option ARMs set to reset to higher payments. NEW YORK (CNNMoney.com) -- Option-ARMs: File under, "It sounded good at the time." These exotic mortgages allowed homebuyers to come to closing with little cash and choose, monthly, how much to pay: interest and principal, interest only, or a minimum amount less than the interest due. Of course, the last option is the one 93% of option-ARM buyers selected, according to a new report released this week by Standard & Poors. But eventually, everyone has to pay the piper. Nearly all of the 350,000 option-ARM borrowers owe more than when they first bought their homes thanks to the unpaid interest accumulating. And many loans written during the first big wave, which started in 2004, are getting ready for their five-year reset, when they become standard amortizing loans. Additionally, some newer loans will reset early if the accumulated interest has pushed the loan-to-value ratio above 110% to 125%. That means borrowers are about to start paying very hefty prices for their homes. In one scenario outlined in the S&P report, the payment on a $400,000 mortgage jumps from $1,287 to $2,593. But that doesn't just spell bad news for borrowers. Some industry pessimists say the looming default problem could have the power to derail the nascent housing market recovery. "The crux of the matter is that as soon as these mortgages recast, the history is that they will default," said Brian Grow, one of the S&P report's coauthors. And the newer the loans, the worse they will perform, the report said. The last year that any option-ARMs were issued was 2007. In the first 20 months after issuance, this vintage of option-ARMs had an average default rate of just over 22%. That includes all option-ARMs issued in 2007. But if you calculate default rates for only 2007 option-ARM borrowers who are now underwater, the default rate jumps to 25% after just 20 months, according to S&P. So, while there may not be an awful lot of these loans out there, their high default rates will have an outsized influence on housing markets, adding to already bloated foreclosure inventories and driving prices down further. And the markets where they'll produce the most foreclosures are still among the most vulnerable in the nation. Option ARMs were most popular in bubble markets -- California, Nevada, Florida and Arizona -- where double digit home annual price increases put the cost of buying a home out of reach. In fact, 60% of these loans went to residents of California and other Western states, places where prices have fallen the most, according to report coauthor Diane Westerback. "The geography is negative for these products," she said. Many borrowers in these places could only afford a home if they chose the option ARM. Many counted on continued hot market conditions to add value to their homes. The extra equity could then be tapped to pay their bills. Home prices in many of the markets where option ARMs are most concentrated have fallen 30%, 40% or more. When the loans recast, most borrowers will find themselves severely underwater. "Because borrowers of [options ARMs] are in a much worse position," said Westerback. "You'll see defaults rising very rapidly." And most option ARM borrowers will not be good candidates for refinancing or mortgage modifications because their loan-to-value ratios will be far too high. Under the administration's Making Home Affordable program, for example, mortgages with balances that exceed 125% of the home's value are not eligible for help. There is another little problem that many option-ARM borrowers seeking refinancing would face: "Upwards of 80% of were stated-income loans," said Westerback. These are the so-called "liar loans" in which lenders did not verify that borrowers earned as much money as they said they did. Lenders may not be able to modify mortgages because many of the borrowers' income could not stand up to the scrutiny. Borrowers may also not want to go through underwriting again because they could be held legally liable for deliberate inaccuracies on their original applications. Add to those conditions the still fragile economy and high unemployment rates, and you have a recipe for disaster. Brian Gindlesperger says he has never been late on a mortgage payment and considers paying off his loan "the right thing to do." But as the value of his home continues to fall, he is starting to wonder whether paying his debt is the smartest thing to do. Four years ago, Mr. Gindlesperger, a police officer, and his wife Kelly, a real-estate agent, paid $650,000 for a four-bedroom house in this wealthy Phoenix suburb. They believed they were getting a bargain price for the area and made a 20% down payment, using a 30-year fixed-rate mortgage to pay the balance. To help pay for their eldest daughter's college costs, home improvements and a wedding, they took out a second mortgage against their home. Now they owe about $647,000 on the two mortgages. But home prices on average have dropped about 48% in the Phoenix area since peaking in mid-2006, according to the First American CoreLogic index. Mr. Gindlesperger figures his home now probably is worth only $375,000 to $425,000, even though it comes with a four-car garage, a pool and a 1.2-acre lot. Zillow.com, a Web site that makes home-value estimates based largely on recent sales of nearby properties, pegs their house at $374,000. So You’re Underwater, What’s Next? More and more Americans find themselves underwater, and it has nothing to do with a swimming pool – though it could be described as feeling like they’re drowning. As we report in Tuesday’s WSJ, nearly one in four borrowers - or roughly 10.7 million people - owe more than their homes is worth, according to FirstAmerican Core Logic. Some face shortfalls worth hundreds of thousands of dollars. What to do if you’re underwater?